Please click here for the pdf version including photos. Check out this weeks “Weekly news round up” from Canoeing Ireland with a special mention for Kilkenny Aqua Canoe Club who hosted a well run, fun inclusive camp on behalf of Kilkenny Sports Partnership. Scroll down to the bottom to view it. All photos located in the PDF version in the link above. Just a note to wish the Junior/U23 team competing the ICF Canoe Sprint World Championships. Michael Fitzsimon will be hoping to repeat last year’s senior national record 3:27 and 7th place in U23 K1 1000m fingers crossed he can go a few places better! Tom Brennan will be aiming for the A Final following his 14th place in K1 200m at Senior Europeans this year. This will be the first World Championships for our Junior K4 Brian O’Neill, Ryan O’Connor, Mark Slattery, Craig Cummins who are all still U16 so have 2 more years at this age group. Coach and Team Manager Jon Simmons is hopeful of a B Final placing. Follow the action LIVE at the 2015 #ICFSprint Junior & U23 World Championships in Montemor-O-Vehlo, Portugal. Thanks to everyone’s phenomenal support on Facebook to help Jenny Egan win a brand new car for the year to help her train and get to and from competitions. Here are the sports people that became Nissan Ambassadors 2015-2016. Thanks to Sport for Business for the article http://sportforbusiness.com/sport-sweeps-board-with-nissan-next/#canoesprintireland #canoeingireland — with Nelo Kayaks. Pantin is a pretty cool looking spot! So, as anyone who keeps an eye on this might have guessed, we have been back from Spain for a while now! My plan to keep this updated while I was over there didn’t really work out, since my phone got fried by a dodgy adaptor and I had no other way of getting online. The time since arriving back in Ireland has been spent chilling out, surfing, fishing, windsurfing, doing a bit of freestyle training and van shopping (although that plan just hit a major speed-bump; pretty disappointing since I’ve been looking forward to owning a van for years!) and I guess it’s time I put a few words together about the surf worlds! The trip was a great experience, with lots of ups, a few downs and lots of time spent hanging out with some really cool people! The team at the opening ceremony and parade. Looking flash in the team gear that Darragh Walsh sorted for us! Before the competition started we had a few days to get to know the wave where the competition was going to be held and acquaint ourselves with the layout of the area where we were staying. The break at Pantin is awesome; it’s easy to see why they have a WQS competition there every year! The bay hoovers up an incredible amount of swell, and directs it towards a sandbar beside a cliff which creates a decent wave at virtually all stages of the tide. Directly inside the main peak is a small island, which creates a deep channel between itself and the cliff and gives an easy route to paddle out. This channel stays totally clear on all but the biggest days, and even then it takes most of the difficulty out of paddling out which is relatively unusual for a European beach break! On the good days the wave started from a well-defined take-off spot, built up into a steep, fast walling section, backed off a little giving time for a few cutbacks and finally walled up again before closing out. It’s a great wave that gives opportunities for pretty much the full range of manoeuvres and there was some seriously impressive surfing done during the week! The downside of such a good break in the middle of summer is of course the crowds. The huge influx of kayakers for the competition created tension with the local board surfers, and some other countries appeared to play by slightly different priority rules than we do which lead to several verbal disagreements on the water. Thankfully verbal disagreements were as far as it went; there were no collisions and no injuries so it was all good at the end of the day! We got a couple of pretty big days! Great fun, and in competition you get to surf it with just three other people on the water! Bar the first few days on the water, the rest of the event ran with an incredibly relaxed atmosphere. The event schedule each day was finalised at pretty late notice, which required a bit of flexibility from competitors and resulted in a lot of early mornings, but in fairness the event organisers were equally flexible. They would make sure that all competitors were on the water before starting heats and there was no hesitation in pausing the competition if two competitors needed to swap a boat between heats, which is very unusual at a world championships. They also looked after us really well during the week, providing food on a couple of evenings which usually consisted of great seafood, paella and tapas. At the team competition prize-giving in As Pontes there was a dinner of Octopus and free-flowing wine, and coincidentally there was a medieval themed party in the town that evening. All of this led to a ridiculous night spent running around a Spanish town chatting to people dressed in crazy outfits, which turned out to be deadly craic! Bouncing around at the start of a pretty mental night in As Pontes! The surf kayak world championships consists of two separate competitions; an individual competition and a team competition which took place on alternate days during the week. The individual competition kicked off the event and used an unusual format. The usual system of four-person, 20 minute heats was used but instead of the top two people from each heat going into the next round as normally happens only the top person went through. The other three people went into a repercharge round, where again only the top person from each four-man heat stayed in the competition. This made it extremely tough to progress through the competition, and after a couple of second places and third places and coming up against the eventual world champions in both long and short boat I was out of the competition after the reps. This definitely wasn’t the result I was hoping for but oh well, time to get back to training and start looking forward to NI 2017! I paddled Ant’s Ride IC boat a good bit out there which was a bit of a change from the Trident I’m used to. It went great though, and is surprisingly easy to control at the top of the wave! Fortunately, the team event went much better! Although we have put a huge amount of work in over the last few years running intro events and training weekends and trying to build up the team as much as possible, many members of the team hadn’t been surf kayaking for very long before going to Spain. We went over expecting to have a good time and learn a lot, but had no idea how the competition was going to go. The way the team competition was run was the teams were divided into two groups of four, and you competed against three other countries over two days. Heats were made up containing one paddler from each country and points allocated for each paddler’s position in each heat; the country with the lowest number of points at the end of the day wins! In the end all of the team paddled to their potential or even better in that team event and we finished up in second place in the group. The top two countries from each group went into the team finals at the end of the week, which ended up being Euskadi, England, Wales and ourselves. Even though we were fairly well outclassed on team finals day and ended up in fourth position, we were happy to have gone that far and were delighted with the result, as you can tell from the pictures of the prize giving ceremony! Very happy with our trophy, medals and fourth place finish at Pantin! So, that pretty much sums up how the week went! Lots of surfing, lots of good food, sunshine and some great parties! The location of the next world championships has been announced as Northern Ireland, 2017. This gives us an incredible opportunity to start building a team early and try to challenge the higher ranks of that podium next time round. If anyone wants to get involved and be part of the squad, just keep an eye on Paddlesurf Ireland on facebook and start showing up to events. We also need people to give a hand with organising and running events so if you’re up for getting involved with that side of things just let us know. If anyone has any questions about what’s involved then give me a shout! I want to say a huge thanks to Aisling Griffin and Mike Barry for all the work that they’ve put into Paddlesurf Ireland over the last couple of years. It’s been a lot of hassle, taken a lot of time and effort and this year’s team really wouldn’t have come together without them. Hopefully seeing the team in action and paddling well over in Spain was some bit of payback for all the work that has gone in! “The Hook was beautiful at dawn. We stopped and met Mick O’Meara to congratulate him on his recent success and shared a load of laughs on how great the weather has been!!! We also met some of Jon’s family, the Crowleys who kindly looked after lunch for us. Great to see you guys. We were into the wind for the day, so we made it to Helvick only to be greeted by friends at the RNLI base and local paddler Anthony Foley. Well done to all who participated in the Canoe Polo Club Champs hosted by Kilcullen Canoe Club over the weekend. Many thanks to all that organised a successful competition. Kilkenny aqua canoe club did a weeklong Inclusiveness sports camp run and hosted by Kilkenny Sports & recreation Partnership last week and below are some of the pictures from it. This is the 5th year of offering kayaking and open boating and the club had over 40 participants being helped by some 15 club members. Camlin LoopBenny introduces the new Blueway Camlin Loop in Co. Longford. Weekly news roundup 10th July 2015 – PDF which includes photos and links. National Governing Bodies of Sport in Ireland and the athletes whom they represent, rely heavily on the advice and support of both the Irish Sports Council and the Irish Institute of Sport to enable them to undertake their international programmes in the best possible way. This is a very good video which shows just how this works in practice in canoeing terms and is well worth Liking and Sharing to get that message across. When people look at an athlete, they see one person. But elite athletes actually need lots of support so that they can focus on performance. And at the Institute of Sport, we are 100% behind athletes. In this video, Canoe Slalom Olympic competitor Eoin Rheinisch talks about how the Institute’s support system helped transform his competitive career. And how it’s still helping him today in his role as a coach to future generations. The Hendrick Twins and t, Pat setting up the slalom course at Ribbontail. The restored lock keepers cottage and now Ribbontail Paddlers Clubhouse. The Division 3 winners were Roisin Hannon Moy Canoe Club and Jack Steins WWKC. With the introduction of open racing for the flatwater events with a class differential for girls ,canoes etc for Div 1 and 2 Paddlers . No Ranking points are awarded to Div 1 & Div 2 Paddlers but a Div 2 Kayak Paddler can gain ranking points in Div 3 Canoes or enter the C2 . The next event is on Sunday the 9th of August at Tullow Kayak Club ,on the river Slaney Co .Carlow . The Kayaksurf Team have just returned from the world champs in Galicia, Spain. It has been a great trip for all. As a team, we progressed with great scores through the Team days (a savage amount of 1st and 2nd places during the heats) to secure our place in the finals. We really excelled early in the week when a large swell and big waves were present. We ended up in 4th, and returning with a trophy and medals. A massive achievement for our team, 4 of whom only started Kayaksurf at the Club champs, a sure sign that our focus on development and the recently introduced Paddlesurf Syllabus is working. The event was incredible, a consistent wave, great atmosphere and fantastic activities to accompany the surfing. Many Thanks to Ivan Pena and the Xtreme Pantin organizing team. Check out Paddlesruf Ireland on Facebook to see more pictures. The national Marathon Championships were on at the weekend in Galway. Well done to everyone who participated. Congratulations to Galway kayak club for hosting an excellent event. A Massive well done and congratulations goes out to Mick O’Meara. What an amazing feat to circumnavigate Ireland in just 23 days. That is a massive achievement! You will be able to check out the Juniors and Under 23’s in action from the 02. – 07.08.2015 at the ICF Junior & U23 Wildwater Canoeing World Championships in Nantahala (USA). Cloondara, Longford. Check out more details on the Facebook event. If you are looking for something to do this weekend and are around Castleknock tennis club, why not pop in to the Canoe Polo Fundraiser Pub Quiz. It is from 8pm and all are welcome. The early bird rate of £200 for the event has been extended until 31st July 2015, so get your booking <http://www.visitmournemountains.co.uk/Euro-meet> in soon. To date we have delegates booked from France, Switzerland, the Netherlands and Spain as well as Ireland and the UK – so it’s starting to look truly international. This is a great opportunity to participate in a European event on outdoor sports, learn from good practice across Europe and also to network and build relationships with practitioners and managers across a range of EU member states. Developing and building partnerships is essential for this programme and the Euro’meet is a great way to do this. Our key note speaker is from the EU Sport Unit and will provide the required insights into the EU priorities for sport and how outdoor sports can feed into these. This provides a real opportunity to learn first-hand about what is required for a successful application for EU funding. Partners from the European Network of Outdoor Sports have worked together after the last Nature and Sport Euro’meet in 2013 to develop a new application for over 350,000€ to carry out research into the value of the social benefits associated with outdoor sports. This project called BOSS (Benefits of outdoor sports for society) has been led by Pole Ressources National de Sports de Nature in France with Sport NI, Sheffield Hallum University and Munich Technical University but in partnership with 7 other EU member state organisations. This would have been impossible without the networking developed through the 2013 Nature and Sport Euro’meet. Therefore if you are thinking of developing an aspect of outdoor sports and are seeking EU funding the Euro’meet provides a fantastic opportunity for this. [http://www.thepursuitzone.com/wp-content/uploads/2015/03/TPZ-084a-copyrightAlHumphreys.jpg]We are delighted to have explorer and film-maker Leon McCarron<https://www.leonmccarron.com/> back home for the Euro’meet to provide a presentation on his latest adventures following two rivers in Iran and Patagonia. Check out the latest edition of weekly news roundup from Canoeing Ireland. Slalom World Cup No. 3 Liptovsky Mikulas, Slovakia. 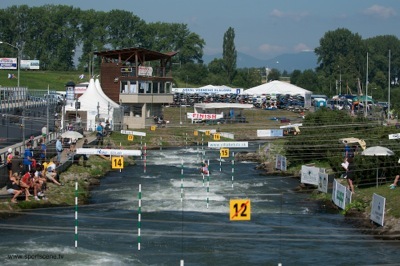 Another busy week of training for the Slalom Team who are now in Slovakia ready for WC no 3! Good luck to WK1 Hannah Craig & Aisling Conlan, MC1 Liam Jegou and MK1 Sam Curtis, Elliott Davidson & Cade Ryan. They all have their heats today 3 July 2015 ! Best of luck to Everyone ! 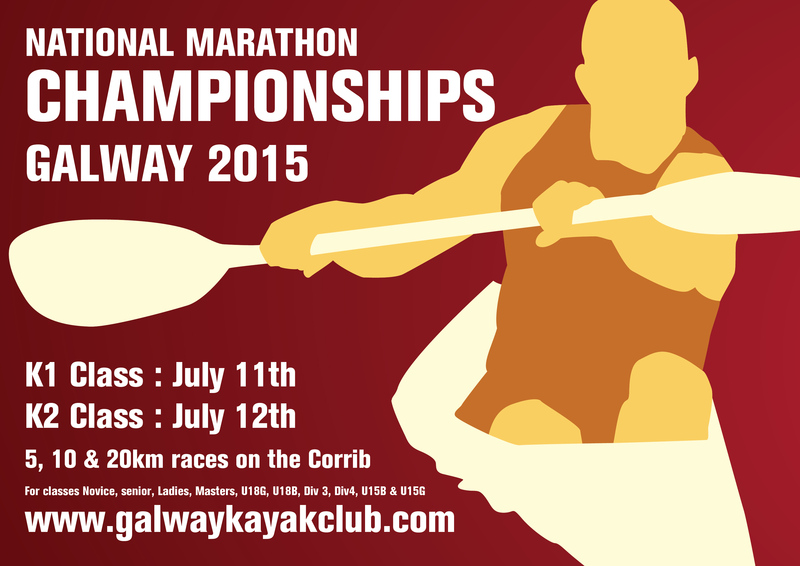 Check out the National Marathon Championships in GAlway on the 11th & 12th July 2015. please contact Galway kayak club for more information. Check out a great article written by Chris McDaid and Chris Corr. A nice video to go with it about the fun charity paddle weekend in the west in support of the Amen Support Services in June.